This level has easy difficulty. 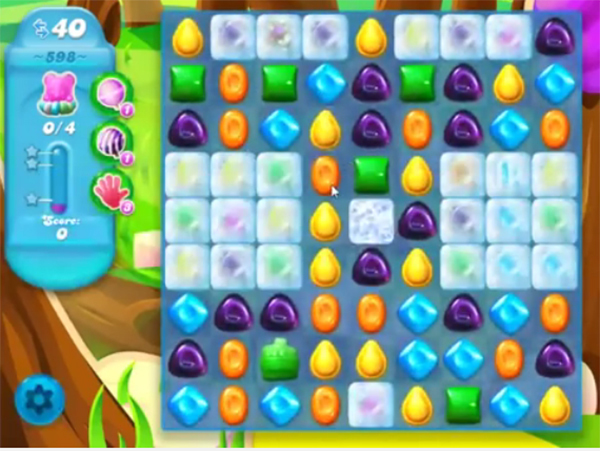 For this level try to make special candy from the purple candy to get more special candy. Or make striped candy with other special candy to break more blockers. After play near to bears to take them to the top. How is this easy difficulty, I am finding it very hard when it moves up to the top there are hardly any moves to penetrate all those layers up the top, and why does it say 40 moves, I have 35 moves. Waste of time again. It is really ultra hard so far compared to previous levels. Wasting time. Won’t sure if I had 40 chances I’d win, but if sure would help. Please post an updated ideo.